The and its Lexus twin, the , are true SUVs with body-on-frame construction, a go-anywhere attitude, and off-road capabilities. 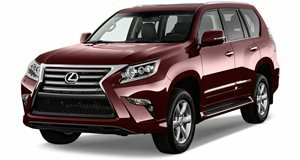 The fact that both, particularly the Lexus, are serious luxury vehicles certainly doesn’t hurt, except when it comes to their respective base prices. But here’s the thing about them: they’re old. The last time a complete redesign took place was 2008. Since then, the pair of SUVs has been facelifted three times to keep things fresh. But those facelifts can’t last forever. Earlier this week, a report from Japanese magazine claimed a next-generation Land Cruiser and LX will debut in 2020. Although the report was in Japanese, help from Google Translate further revealed the naturally aspirated V8 found in both SUVs will be replaced by the LS sedan’s twin-turbo V6. Even a new hybrid system is supposedly being developed. Needless to say, Toyota’s Japanese-speaking staff did not require the use of Google Translate to see the story is not true. In fact, looking at Land Cruiser and LX sales figures, we can see why Toyota is no immediate rush for a redesign. A total of 3,235 Land Cruisers were sold in the US last year, a figure exceeded only twice over the past decade: 3,705 units in 2016 and 3,801 in 2008. 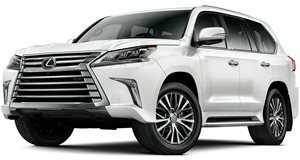 The LX is actually selling better than the Land Cruiser, with a total of 4,753 units sold in 2018. That’s actually down from 6,004 in 2017. In 2008, an impressive 7,915 LXs were sold, and the yearly sales numbers fluctuated over the decade but still remained solid overall. The models too face fresh competition from the redesigned and hot-selling Lincoln Navigator, while a new Cadillac Escalade isn’t too far off. Eventually, a new Land Cruiser and LX will arrive but it won’t happen in 2020. 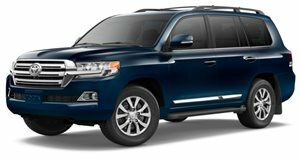 It’s also worth noting that the overseas Toyota Land Cruiser is sold in the US as the ; could the Best Car report have been in reference to that? A total of 26,724 GXs were sold in 2018, its second-best year since the current generation went on sale. Why bother replacing something if it’s still going strong? Toyota’s and Lexus’ existing body-on-frame large SUVs still have plenty of life left in them. The LX570 is an analogue SUV in a digital age.